Forty-two year old Rudolph Lizama was charged for having an undetermined amount of crack cocaine in his possession and today, when he appeared before Magistrate Dale Cayetano, he pleaded guilty to the Possession of a Control Drug. Lizama, however, did not agree with the facts read to him and Magistrate Cayetano entered an equivocal not guilty plea on his behalf. While Lizama is not the first person to be charged for an undetermined amount of drugs, it was unusual that the alleged crack cocaine was not weighed. It is alleged that during a search of the handyman on Wednesday through Taylor’s Alley, the drugs was found on his person. Bail was offered in the sum of five hundred dollars plus one surety of the same amount. Unfortunately, Lizama unable to meet bail and he was taken into custody at the Queen Street Police Station and this evening was transported to the Central Prison. Do we even have drug rehab fi people like dis weh end up back a jail? 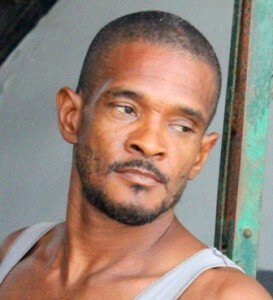 He look young and strong and da wah real pity fi lose ah to drugs. We need fi help fix we people so they could work and contribute to society. The man needs rehab not a prison sentence . When will we learn? Even if you send these people to rehab, what is there for them to go back to. There are no jobs, nothing to give them a new start. These poor people goes back into the same environment, with the same people that they use to do drugs with. The government is failing the people. I know there are those who say we can’t blame the government for everything. Well, look at what is happening in the country, People only see hopelessness, so they give up, they country have not grown in the past 40 years, think about it 40 years, the same condition. The majority of the ones who prospers are those who are fortunate enough to have families living in the US or other countries. Next those in government and their positions and wealth is handed down within their families. The few who are lucky to have business are killed for what they work so hard to build. For people like this man it is no win situation, unless he reaches a place where he take his rehab seriously and do it himself. 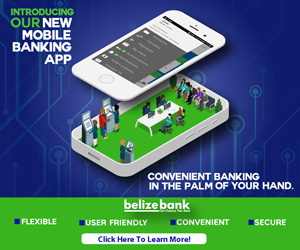 People of Belize must speak with their votes and not sell it for a piece of zinc and a few dollars that is spent in one day. Look at the bigger picture, look to the future and how it will be better for the country and the people. We need to attract educated Belizean’s from abroad to come home and help to turn things around.